Customized for various surfaces like gravel and tarmac, the trailer express tires are subjected to intense bonding of the tread and steel belt to the rubber casing to avoid tread and steel belt separation. The tires are made of reinforced rubber to ensure tire strength and stability, even under heavy loads. This also ensures that the treads last longer. Its symmetrical unidirectional treads provide a long tread life and even wear. 7.50/--15TR N/A 3,500 lbs 115 psi 14/32nds 6" 9" N/A 32"
Purchase includes the Samson Trailer Express LPT RB611 tire only. The wheel rim shown in the picture is not included. Picture provided is a stock picture from the manufacturer and may or may not reflect the actual product being ordered. All Samson Trailer Express LPT RB611 tires are continuously developing with manufactured improvements. With that said, Simple Tire and the manufacturers have the right to change these tire specifications at any time without notice or obligation. Please Note: Specifications of the Samson Trailer Express LPT RB611 tires shown above are listed to be as accurate as possible based on the information provided to us by Samson tires. 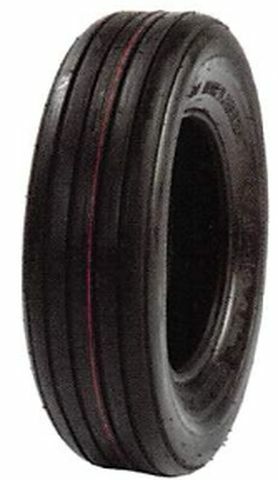 I use these tires on tandem dual farm trailers that are often loaded in excess of 20000# with hay, pipe, farm equipment, etc. While they don't get a lot of highway miles, they are often subject to overloading, gravel roads, and sharp corners / maneuvers. I am currently running the 14 ply bias Samson on one side of the trailer and 14 ply bias Hercules on the other to see which performs best. So far both have been able to handle the heavy loads and abuse I deal out without all of the broken steel belts and blown off treads that I have experienced with radial trailer tires. Save the radials for the wife's SUV, but for a tire that can take some abuse, these "old school" bias tires are tops. Thanks Simple Tire for fast and easy dealing. Tires were sitting in my driveway faster and cheaper than I could get them locally.